Bag, Bangles, Earrings & Necklace All For $25.91 at Target! You are here: Home / Great Deals / Bag, Bangles, Earrings & Necklace All For $25.91! 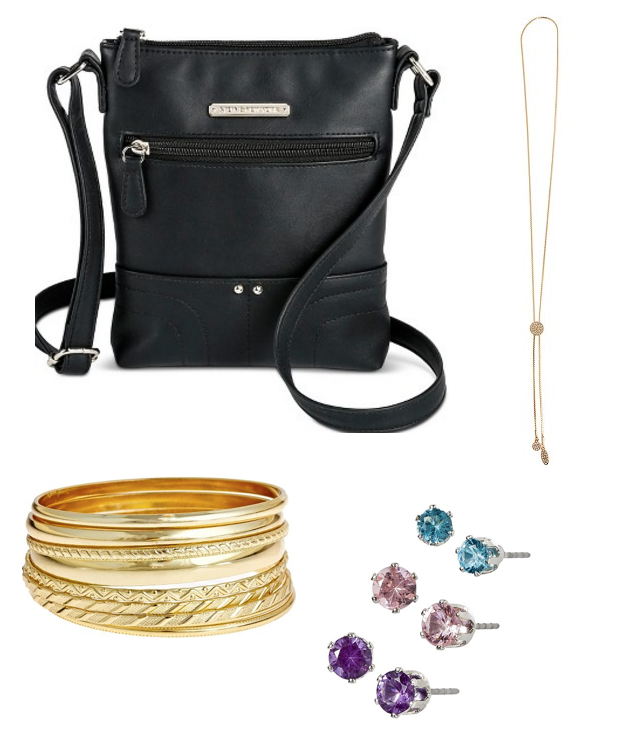 Bag, Bangles, Earrings & Necklace All For $25.91! Target has a great mobile coupon out now! Get $10 Off a $35 Purchase in Accessories! Can be multiple items (as shown above) or just one item, your choice! Pickup in-store for FREE or get FREE shipping on orders of $25+! If you are shopping online, enter promo code STYLE at checkout to get your additional $10 off! Sign up for Mobile Coupons Here or through the Target app on your smartphone!